That's a lie. I can't find the small stack I found earlier! I have filled all present orders, but don't order any more, yet! Please add shipping charges of $1.00 for one decal and .25 for each additional decal. Five inch forest green and white decal, made of heavy duty vinyl which is made to withstand marine or salt water conditions. I have plenty of Salty Dog Decals! 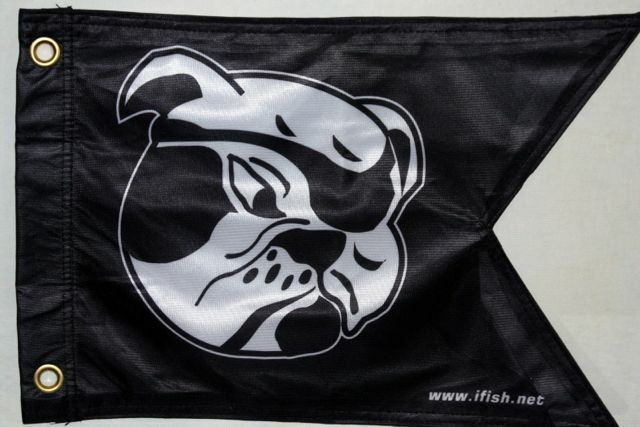 Five inch black and white decal made of heavy duty vinyl which is made to withstand marine or salt water conditions. Click the button to the right one time, and then you can choose how many by updating it! New Orders Coming for March of 2017! Watch on the Salty Dog board for more info! Get Ready for the sweatshirt orders!